A venture that allows Pure Minutes to deliver its signature affordable international rates at all MoneyGram Corporate locations in addition to the extensive agent network available across the United States. The partnership offers our customers the unparalleled convenience of topping up at any MoneyGram location to simplify the process of staying in touch with their loved ones. Pure Minutes and MoneyGram International are proud to announce a partnership that unites affordable international calling solutions with one of the world’s most trusted international money transfer companies. The strategic alliance helps connects Pure Minutes with the substantial customer base seeking quality long-distance and reliable money transfer solutions. Since 1940 MoneyGram International has allowed customers to send and receive money worldwide, primarily through a global network of agents with access to their money transfer systems. 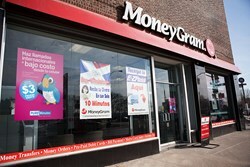 MoneyGram is world renowned for their commitment to bringing greater control and choice to their customers. The diverse array of products and services MoneyGram offers enables customers, most of whom are not fully served by traditional financial institutions, to make payments and transfer money helping them meet the financial demands of their daily lives. MoneyGram has 293,000 agent locations in 197 countries and territories around the world positioning it as a leader in money transfer. The strategic partnership with Pure Minutes will allow MoneyGram to help its customers find even more convenient ways to top-up their account and take advantage of affordable international calling. The venture now allows Pure Minutes to deliver its signature affordable international rates at all MoneyGram Corporate locations in addition to the extensive agent network available across the United States. The alliance with MoneyGram represents an ongoing commitment by Pure Minutes to building long-term relationships with our customers. Users benefit from the simplified process of purchasing international top up to make long distance calls without contracts or obligation. Eric Ramos, President of Pure Minutes expressed his thoughts: “The partnership offers our customers the unparalleled convenience of topping up at any MoneyGram location to simplify the process of staying in touch with their loved ones.” Fred Leon, Senior Account Executive, added, “We’re excited to have one of the premier international money transfer companies on board with Pure Minutes and are positive this will strengthen our bond with our customers.” “This new alliance with Pure Minutes represent an important contribution to our spectrum of products and allows our customers the possibility to have diversity and quality on products and services at our MoneyGram Corporate Stores located in the United States,” shares Juan Arturo Revilla CAMS, Director Corporate Stores at MoneyGram International. Pure Minutes (link) provides a low-cost international calling solution that works with any phone number, regardless of the current provider. This means that a user can enjoy the benefits of low international rates without needing to change their current land-line or mobile cell phone service provider. MoneyGram International Inc. is a money transfer company based in the United States with its headquarters in Dallas, Texas. It has operations centres in St. Louis Park, Minnesota and Brooklyn Center, Minnesota, a call center in Lakewood, Colorado, and regional and local offices around the world. MoneyGram businesses are divided into two categories, consist of Global Fund Transfer and Financial Paper Products. The company services individuals and businesses through a network of agents and financial institution customers. MoneyGram's money transfer service moves money quickly and easily around the world and offers products and services to consumers and businesses through a worldwide network of agents and financial institution customers. Pure Minutes is a leading provider of prepaid international long-distance calling solutions. We provide an affordable communication solution that offers flexibility, portability and ease-of-use for both landline and mobile users. PURE Minutes offers competitive international calling worldwide with no hidden fees, no maintenance fees, no contract required, and minutes that never expire. PURE Minutes service is sold on the web and through regional and national retailers including WorldCom and is available to customers worldwide.